For us, spring means science. 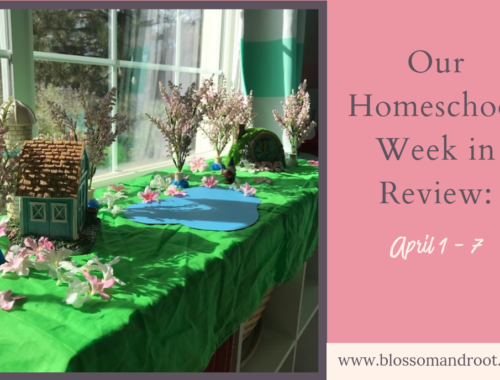 We love to focus on science topics, nature study, and outdoor learning at this time of year. 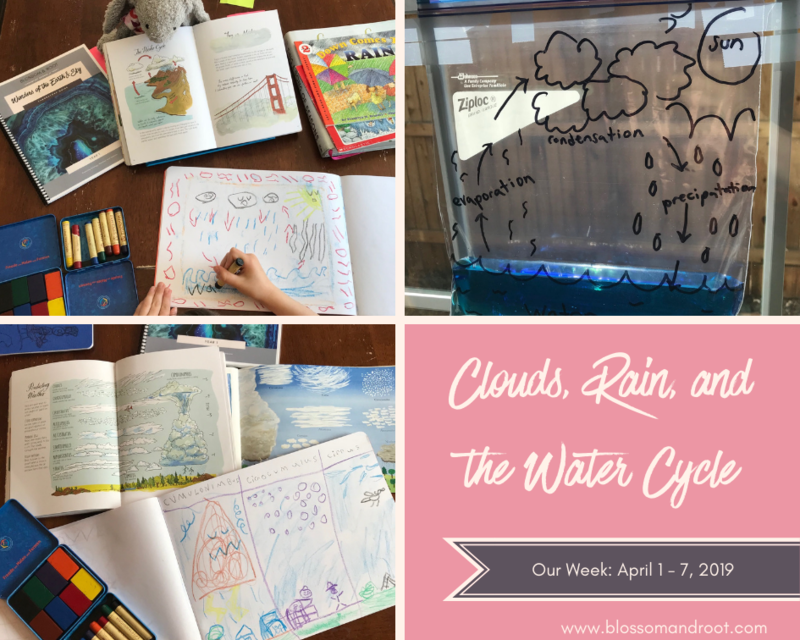 Right now, Blake’s about halfway through our weather unit, and we’re working our way through the Book Seed collection from spring 2018. 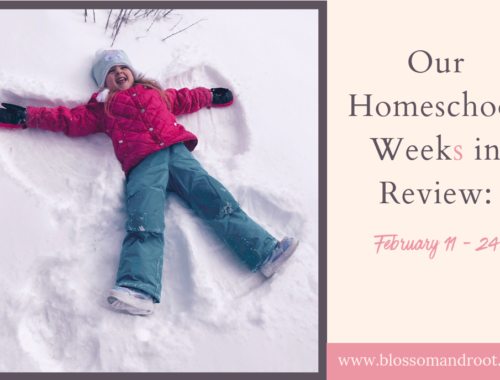 On rainy, windy, and snowy days we tackle a fun stack of science kits I’ve been collecting all year long. We’ve already started taking our classroom outside on occasion. 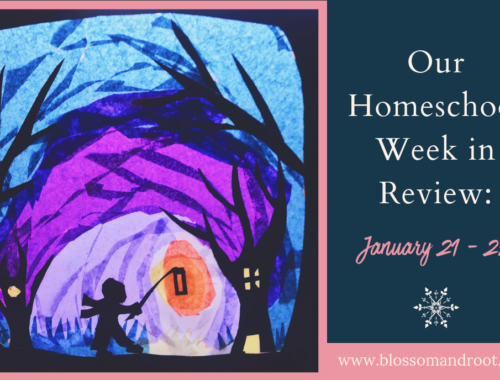 Our homeschool days feel light, playful, and stimulating. Spring is a wonderful thing! 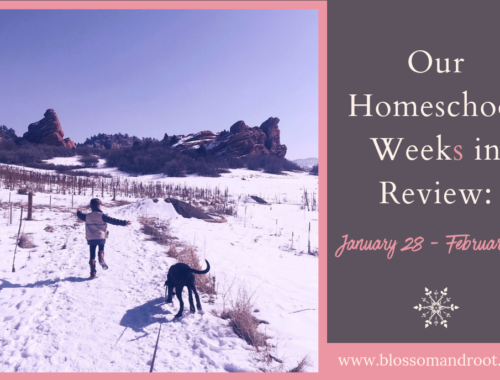 Before I dive into our week in review, I wanted to share a bit about our IGTV (Instagram TV) Channel with you. I really love making video content, but it can be really difficult for me to make time for formal video creation on a frequent basis. That’s why I love IGTV. 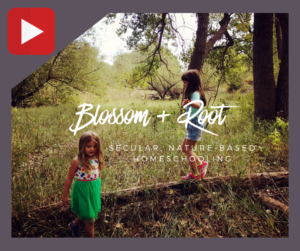 It’s so casual, and so easy for me to just make a quick video to share with you in the nooks and crannies of my day. 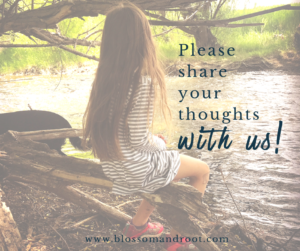 I’ve been making almost-daily videos there for the past couple of weeks and really enjoy this opportunity to pop in to share something with you when inspiration strikes. I still plan on making lots of YouTube videos. In fact, I have a pretty full line up for spring and summer. But I absolutely love the ease and connection that IGTV offers and hope you’ll join me there from time to time. 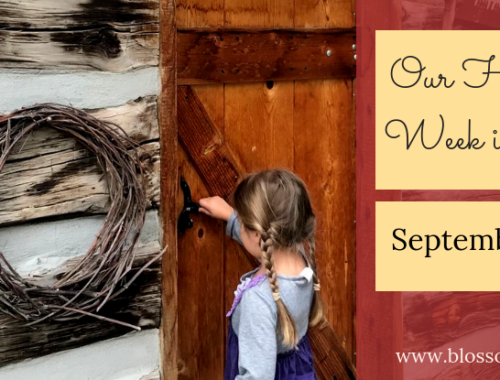 A few weeks ago, I was rearranging all of our homeschool shelves, culling through materials we never use and organizing everything for the year ahead. 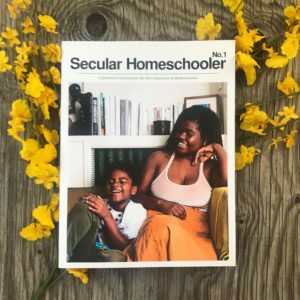 I was trying to see what we were missing for next year, making a list of books to look for on Thrift Books, and seeing which supplies were running low. Brice saw me loading up a little magazine holder with her name on it and asked me what the books were. I told her those were her kindergarten books for when she was ready to start kindergarten. And so it begins. 🙂 It was a wonderful first week. 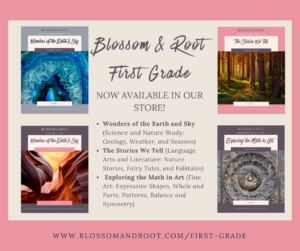 We won’t add in the history and geography portion, the nature study portion, or the art portion until fall since we’re heading into the more laid-back season of our homeschool. 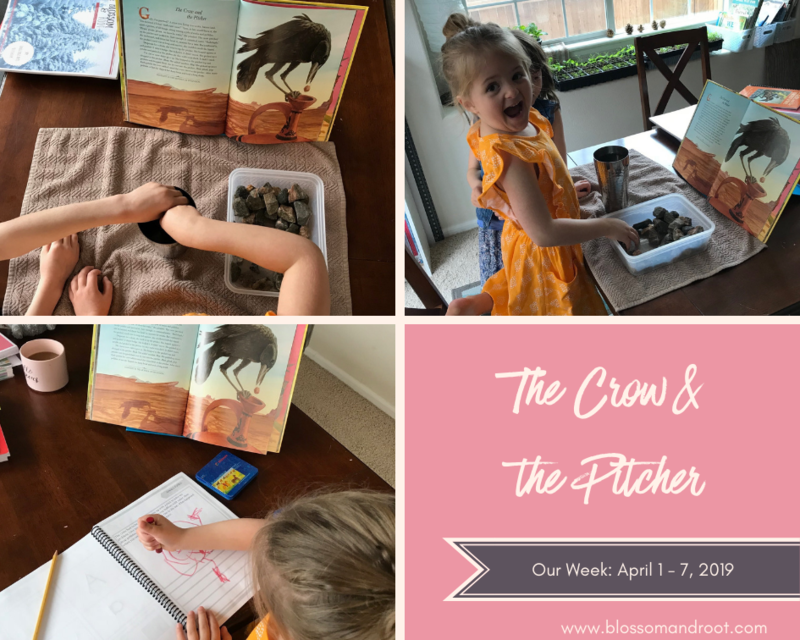 But Brice absolutely loved the language arts lessons this week, especially the one on “The Crow and the Pitcher.” She also got very excited about the Great Space Adventure. 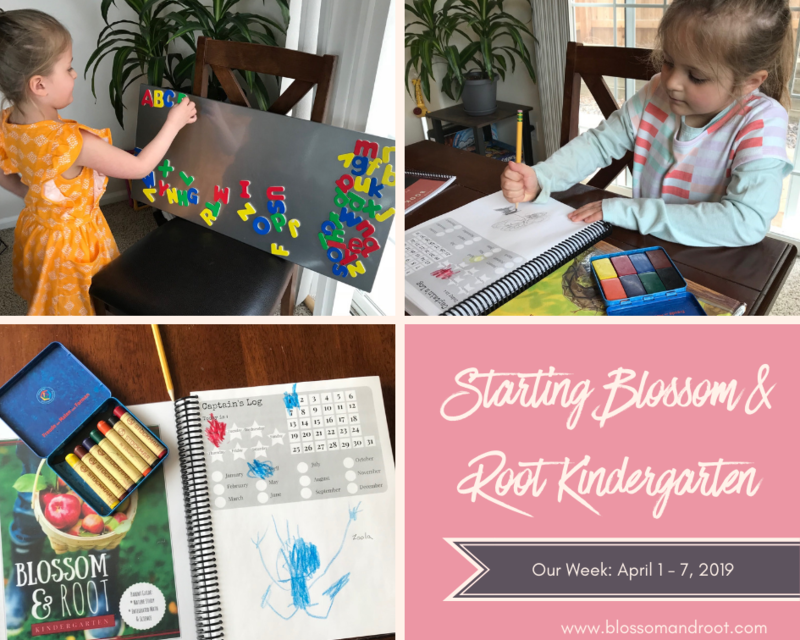 I will be posting a YouTube video soon, sharing all of the curriculum and resources we’ve chosen for her kindergarten year. Part Two: We’ll do at least one of the activities in the curriculum to bring the concept to life. Sometimes, we do many of them over several days. For the cloud lesson, we’ve been collecting pictures of various clouds when we’re out and about. At the end of our weather unit, we’ll print them out and make a cloud book. 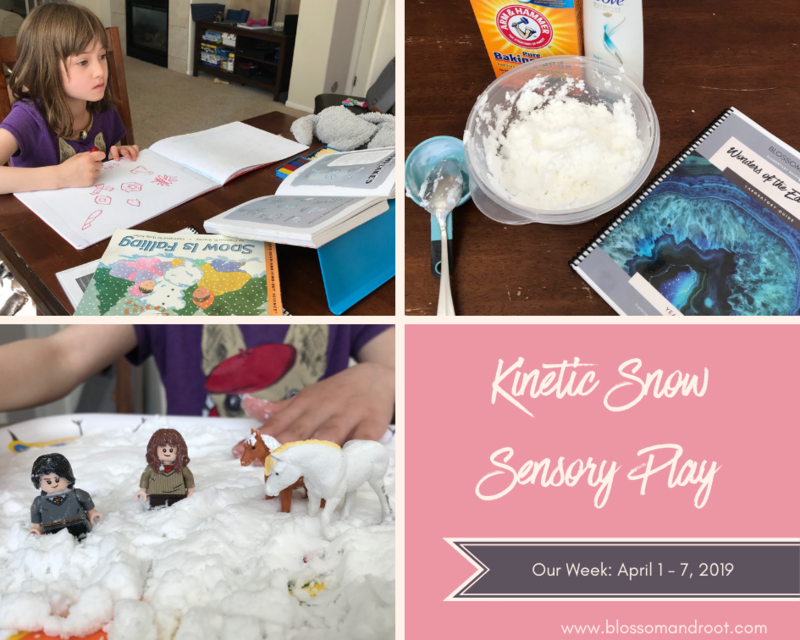 We also made a water cycle in a bag and kinetic snow for sensory play. The day finally came for Blake’s first horseback riding lesson! 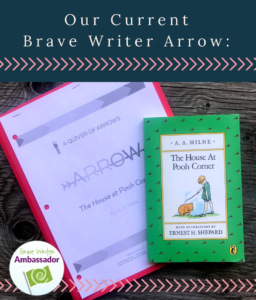 She’s been learning about horses all semester long, attending horsemanship lessons, and writing a book about horses for her Brave Writer Jot it Down project. 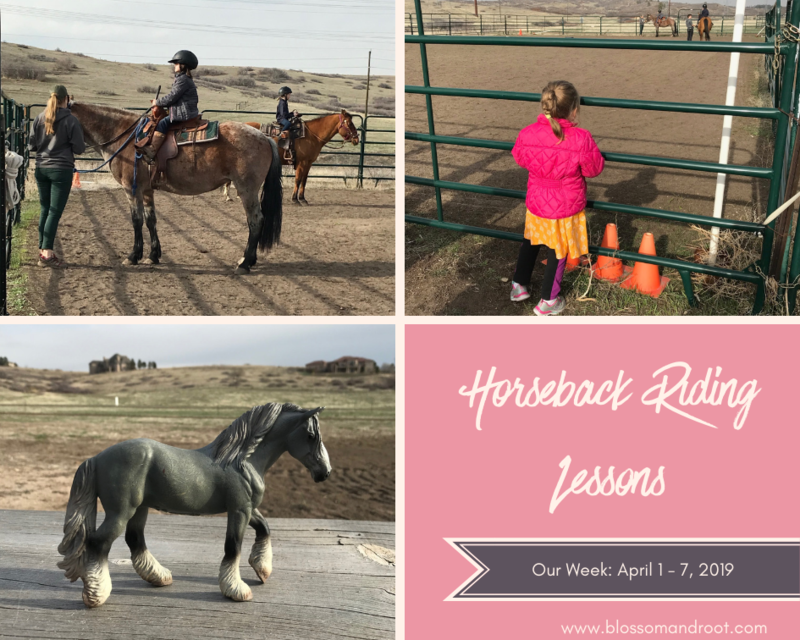 This week, she finally got to ride a horse by herself for the first time. It was so exciting to see the look on her face. I’m so proud of my little brave learner. 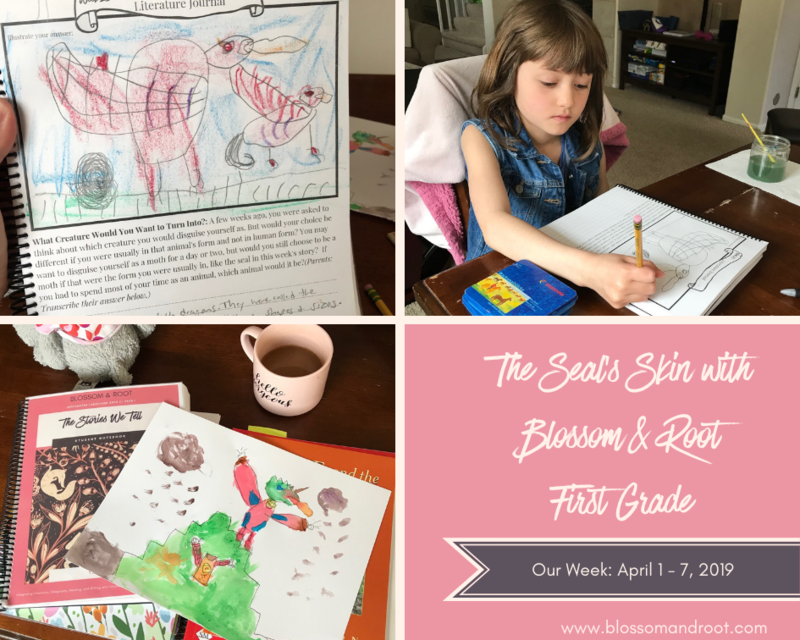 This week’s story in Blossom and Root First Grade was “The Seal’s Skin.” Every now and then, there’s a story that really resonates with Blake and takes on its own life in her imagination. This was one of those stories. After we read the story, we watched The Song of the Sea. Blake made a painting of a girl that could turn into a dragon with a special skin. She also spent a large portion of the week running around in her fuzzy white bathrobe pretending to be a selkie. I really want to watch The Secret of Roan Inish with her, too, as it’s also a beautiful retelling of this story. 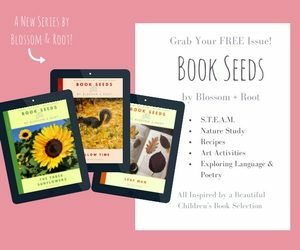 We’re working our way through the 2018 spring Book Seed collection. 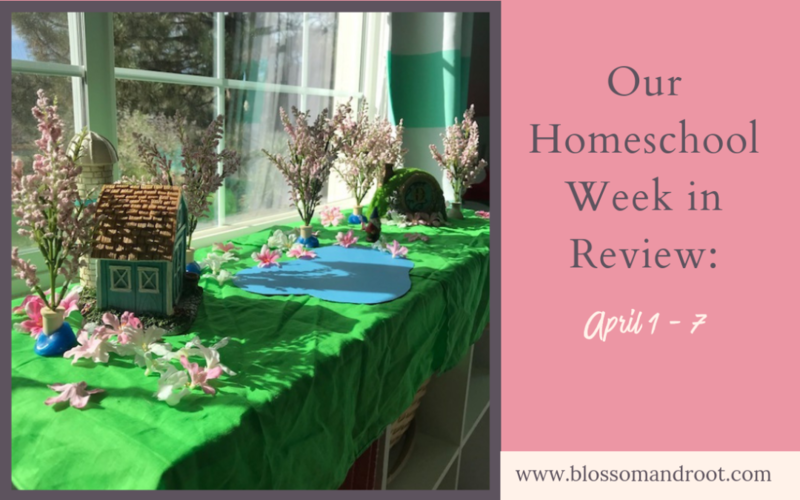 Last week, we did the issue on Up in the Garden and Down in the Dirt. 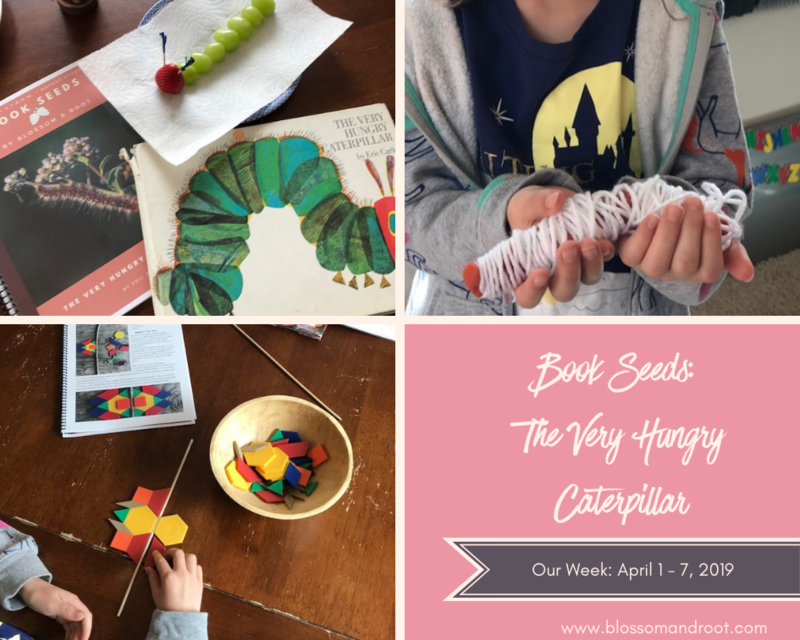 This week, we started the issue on The Very Hungry Caterpillar. The girls made “very tasty caterpillars,” experimented with symmetry using tangram blocks, and attempted to wrap their own play-dough caterpillars in cocoons. We learned about the differences between moths and butterflies, and learned how butterflies drink nectar with their proboscis. 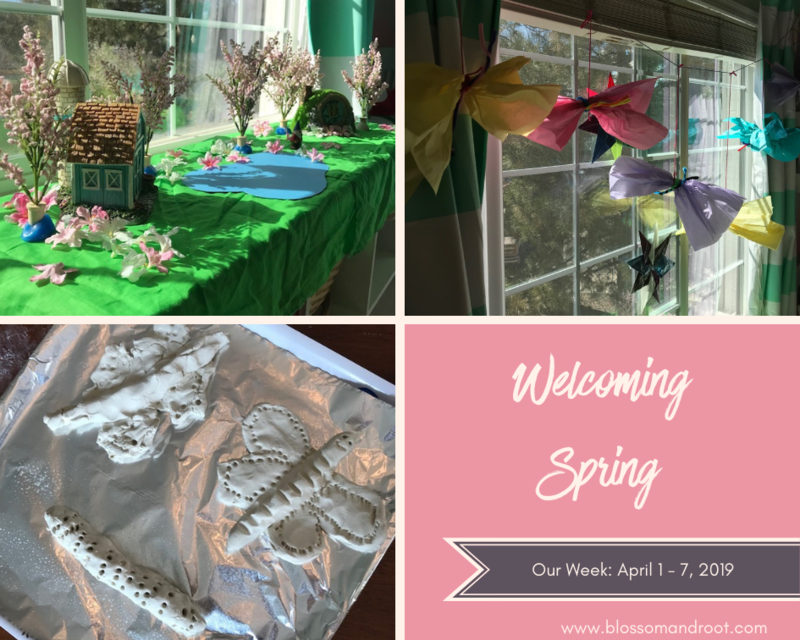 We also made tissue paper butterflies to hang over the nature table. 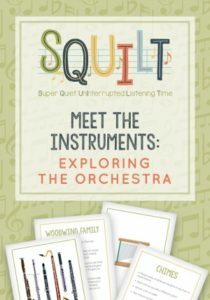 This was a really simple craft we picked out from the Whole Family Rhythms spring guide. 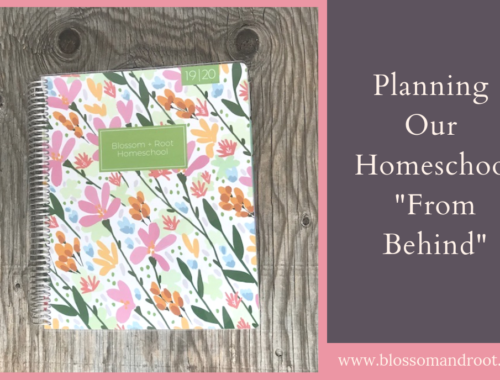 I recently purchased the full collection of their seasonal guides to add to Brice’s kindergarten year. We tried to make the jelly caterpillars from the guide, but they didn’t quite turn out. The girls still love slurping them out of the straws, though. Finally, we made caterpillars and butterflies out of air-dry clay. In a few days, they should be ready to paint and seal. 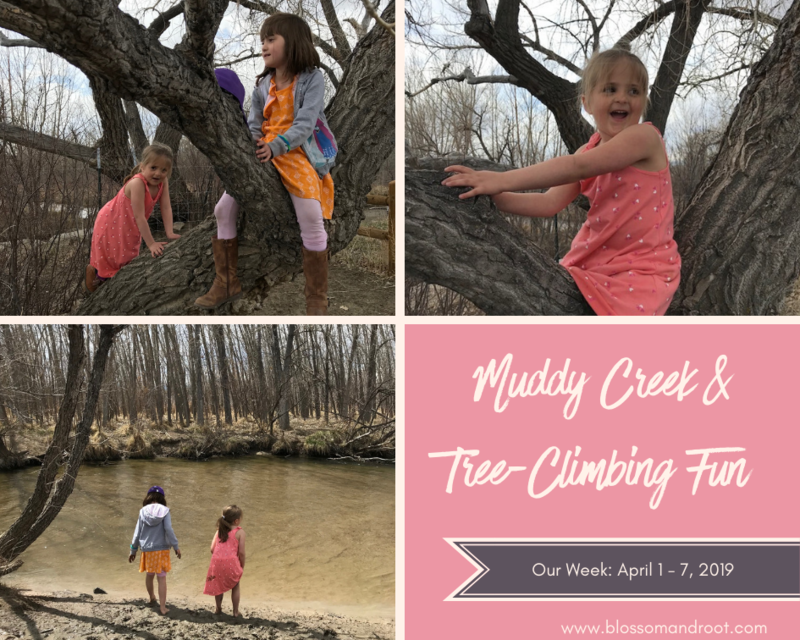 A large amount of our homeschool time was spent enjoying the warm spring weather outside. I bought our state parks pass this week so we can enjoy the 41 parks Colorado has to offer, in addition to our usual favorite nature spots. 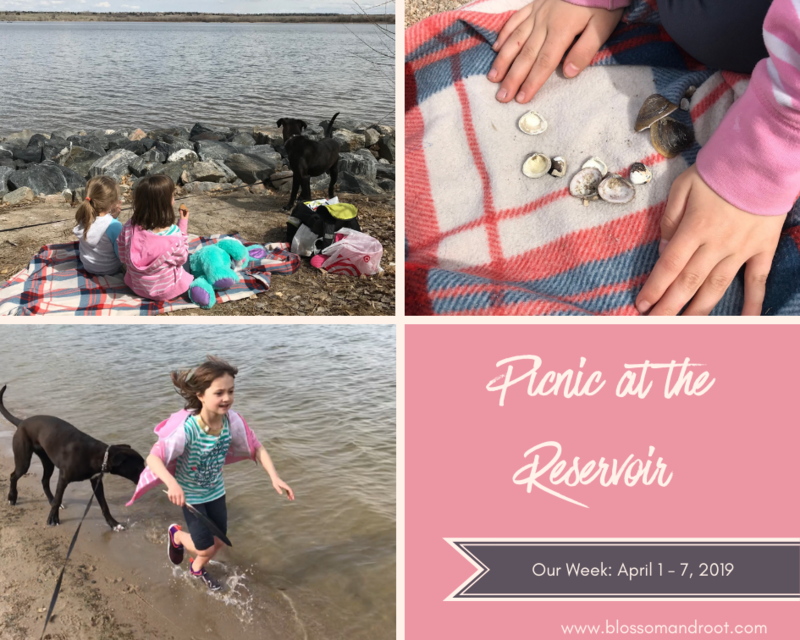 We had a picnic on Friday at Cherry Creek Reservoir, then came back on Saturday to visit the dog park there, climb trees, and wade in the muddy creek. On Sunday, Blake had her very first Girl Scout meeting. 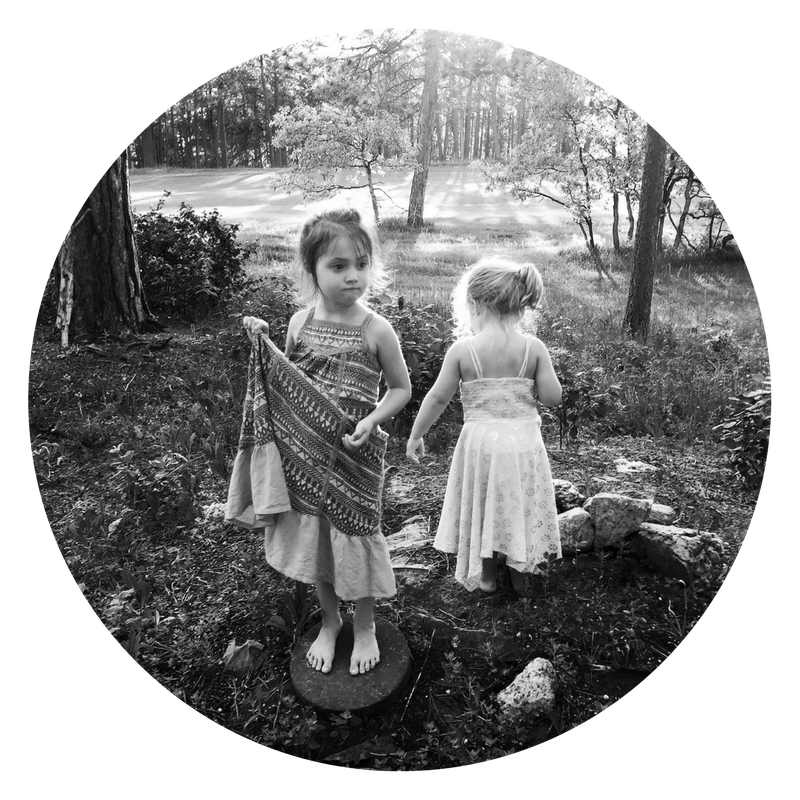 We went on a hike with her new troop on a beautiful trail high above the city with views for days. At the end of the hike, we heard little frogs singing in a nearby pool and investigated to see if we could find any tadpoles. No luck, but we still had a great time exploring the little vernal pool. 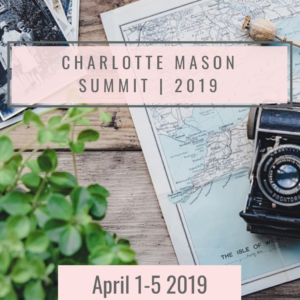 The piles of muddy laundry I’ve been working through are clear proof that spring is here! 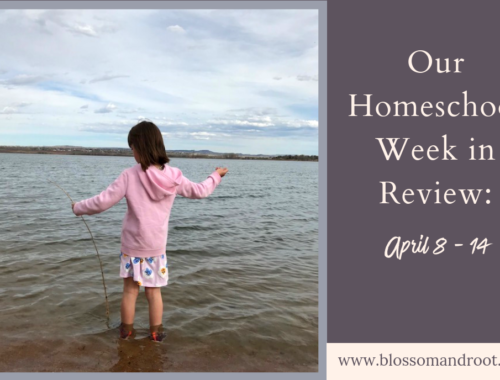 It’s been a busy and wonderful week. I’m so glad that spring has come, even though I know we’ll likely have at least two more big snows before the end of May. 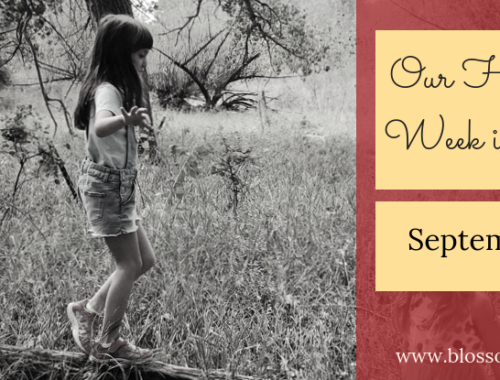 It’s so wonderful to spend time outside without eight layers of clothing or chapped cheeks. 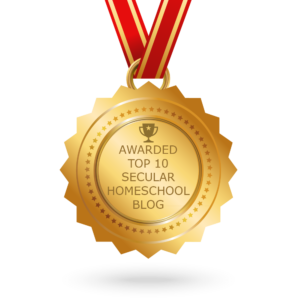 A quick shout out and thank you to feedspot.com for featuring us in their list of Top 10 Secular Homeschool Blogs! 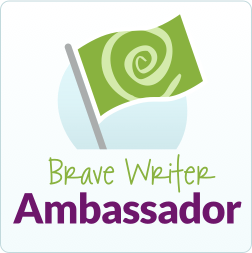 Be sure to check out the list–some of my favorite blogs are on there. I feel honored to be in their company. 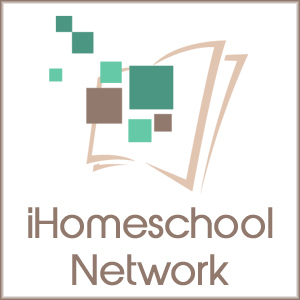 Click here to see the Top 10 Secular Homeschool Blogs list on Feedspot!